I’m so sad that Armchair Book Expo is ending. I had a great few days being introduced to new bloggers and putting together discussion posts. This year I was able to participate in all four Armchair Book Expo posts and be a part of three of the Twitter chats. Below is a quick run down of posts in case you’re interested in checking them out. If you didn’t participate in Armchair Book Expo this year, I hope you get a chance to next year. I answer a few intro prompts as well as sharing my personal blogging practices when it comes to reviews. Day 2: What Do Readers Want? A quick discussion post on how our differing expectations for books affect how we receive them. Also touch on how important it is for me to feel an emotional connection with a book in order to truly enjoy it. This was my favorite Armchair Book Expo discussion post to write this year. I talk about how far we still need to go in terms of diversity in publishing. While the previous post was my favorite to write, this one might be my favorite to put together. If you’re looking for a diverse book to add to your TBR, I share ten of my favorite diverse reads this year. Did you participate in Armchari Book Expo this year? What was your favorite post? Did you get a chance to participate in any of the Twitter chats? Share a link to your wrap-up post in the comments. I mentioned in the intro post that I’m cohosting the Summer 2017 Comment Challenge. Each month we pair bloggers together and encourage them to comment on each other’s blogs all month long. If you are interested in joining us, sign-ups for July are now open and will be so through June 26th. Click the image to the left for all the details. Armchair Book Expo is an online book conference that takes place this year May 31st through June 4th. Every day bloggers take part in different discussion posts, twitter chats, and even an Instagram challenge. Today I’ll be sharing some book recommendations. I think one of the greatest pleasures of book blogging is getting to share your favorite books with others. Sure, it can be cathartic to share a negative review about a book that disappointed you (am I the only one that finds it fun to write negative reviews every once in a while?). But there’s something to be said about sharing with other readers your love for a book. And there’s no greater feeling than knowing a fellow reader picked up a book on your recommendation and ended up loving it just the same. Since we talked about diversity yesterday, I wanted to share the top ten diverse books I’ve read this year. This was a really hard list to make as I’ve read a lot of awesome books by diverse authors this year, but hopefully you’ll be able to find something below that piques your interest. Covers are linked to Goodreads. 1. 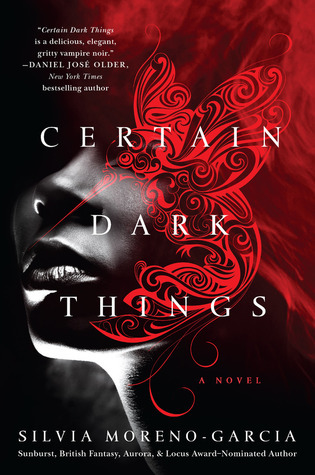 ISO: diverse urban fantasy, set in Mexico, unique take on vampires —> Try Certain Dark Things by Silvia Moreno-Garcia. 2. 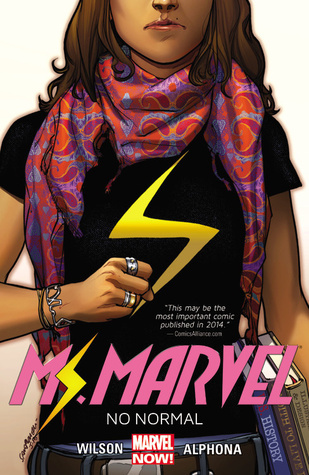 ISO: superhero story that defies clichés, Pakistani-American protagonist, positive Muslim representation —> Try Ms. Marvel by G. Willow Wilson. 9. 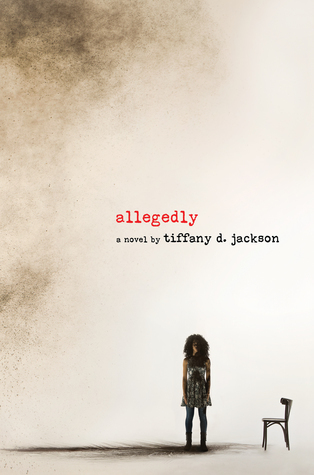 ISO: powerful contemporary, teen pregnancy, minor in the justice system, stay up late finishing —> Try Allegedly by Tiffany D. Jackson. Have you read any of these? What was the last diverse book you picked up? Be sure to leave a link to your own Armchair Book Expo post in the comment. Armchair Book Expo is an online book conference that takes place May 31st through June 4th this year. Every day bloggers take part in different discussion posts, twitter chats, and giveaways. Today we have a choice between the following topics: Delving Into Diversity & Dining With the Authors. I’ll be discussing the former for this post. Delving Into Diversity: Book Expo sparked quite the controversy a couple years ago regarding diversity in books and authors. Where are we now? OR, let’s take a different direction and explore the diversity of the format of a book. Do we judge a book by its cover and/or content (e.g.,, audio, digital, graphic, etc.)? Or, combine the two topics and discuss diversity found in alternative content (e.g., representation in graphic novels). Get creative and maybe even controversial! When it comes to diversity in publishing, we still have a long way to go. Yes, we are talking more about diversity and this can sometimes make it feel like the numbers are changing, but it’s important that we don’t fool ourselves into believing that real change is happening when it isn’t. While there has been an increase in books about PoCs in children’s literature for example, a closer look at the data tells a different story. Yes, we are seeing more diversity, but it’s what I’d call superficial diversity when you consider the majority of these diverse books are coming from white authors. I’m not saying that white authors can’t write good books with PoCs at the center. If they do exhaustive enough research and are still open to criticism from those who are represented in their stories, I say go for it. However, there are certain stories about PoC that should only be #ownvoices. There are certain subjects that require tremendous care and actually experience in order for them to be written well. In all honestly, I just trust #ownvoices books more. I hesitate to pick up a book by a white author about my culture because I really don’t know what I’ll be getting. 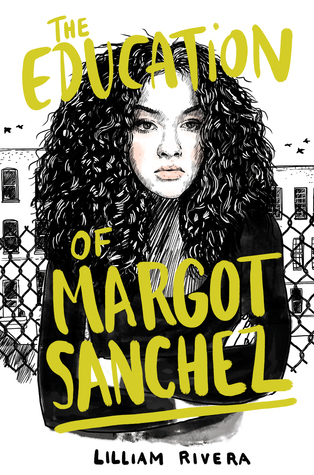 If I have a choice between reading a book about a Mexican-American protagonist that’s written by a white author or a Mexican-American author, I’m going with the latter every single time. Having diverse authors, editors, agents, publicists, etc. is more important than having diverse characters. The invisible players in the publishing industry are especially important. These are the people who decide which books get acquired, which go to print, and are in charge of marketing said books. I think you can make a direct correlation between the lack of diversity among these invisible players and which “diverse” books get picked up. White authors are still the ones getting the deals. It makes a huge difference to marginalized readers who they get to see on stage at an author event. This is especially true for all those teens with writing ambitions. It makes a world of a difference for them to be able to see someone who has a similar background making it in the publishing industry. 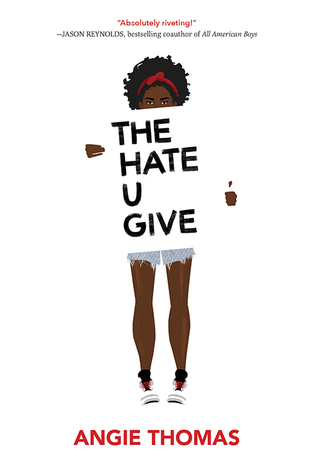 One last thing, as bloggers I think it’s really important for us to make an conscious effort to promote diverse books (please note that when I talk about diverse books, I am talking about books written by marginalized authors). Make an effort to buy, check them out from the library, and talk about them on social media. This is how we show the publishing world that these are the books readers are looking for, it’s how we show marginalized teens that their experiences are of value, and it’s how we begin to better ourselves, not just as readers but as members of a increasingly diverse society. Do you make an effort to read more diversely? Why do you think it’s important to pick up diverse books? Share a link to your own Armchair Book Expo post in the comments! I’m so happy to be joining Armchair Book Expo again this year. I’m not sure if I’ll be able to ever actually attend a book conference, but this online book event is the next best thing. Starting today through June 4th, bloggers can participate in this online book conference. There are different discussion posts for each day, twitter chats, and giveaways. I believe you can still sign-up, so if you’re interested, head on over to the Armchair Book Expo site here. For this introductory post, we’re choosing three to five prompts from the official intro questions list. My selections are below. Currently . . . I am on a contemporary kick. 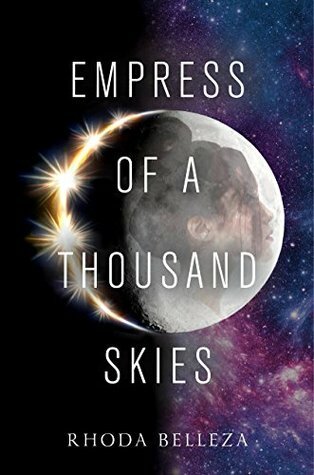 I’ve always considered my favorite genre to be fantasy, but over the past year or so, I’ve gotten more into contemporary books and I can’t get enough. I love . . . magical realism. It’s hard for me to explain just what it is about this genre that appeals to me so much, but every time I pick up a magical realism novel, I’m filled with such awe. My favorite . 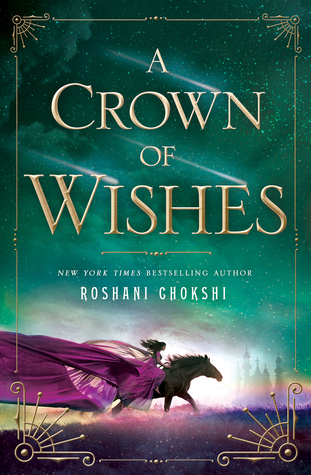 . . books so far this year include Roshani Chokshi’s A Crown of Wishes, Anna-Marie McLemore’s When the Moon Was Ours, and Tiffany D. Jackson’s Allegedly. My summer plans . . . for the blog include the Summer 2017 Comment Challenge. Lonna @ FLYLēF and I started this challenge last summer as a way to help bloggers connect with one another. We pair bloggers together for one month and encourage them to get to know one another through comments. Stop by my blog on the 3rd to sign up for July. Best Practices in the Online Book Community: Let’s talk about our best practices within the book community. This can range from time management to the use of social media to even ethical obligations. For this prompt I want to talk about my review practices. Besides writing, editing, and scheduling my review posts, I have a set checklist that I go through throughout the day. I make sure to share these reviews on social media (for me that means Twitter, Tumblr, and Google +). I update my Latest Book Reviews widgets and make sure my reviews are listed under author and title. I also cross-post my reviews to Goodreads and Amazon. I do all these things within a 24 hour period, so I never fall behind. Honestly, it can be a little much and I sometimes elect to skip catching up on comments the same day, but it’s also a practice that I’ve been really consistent with that I don’t really think about, it’s just automatic. Did you participate in Armchair BEA last year? Will you be taking part in Armchair Book Expo this week? Do you ever cross-post your reviews? Leave a link to your introduction post in the comments! Armchair BEA is over! This was my first time participating and it was such a great experience. As someone who would have loved to attend BEA in Chicago this year, but was unable to do, this was the next best thing. This definitely will not be the last time I join this fun online event. Let’s take a look at the posts I put together this week. On our first day, we had a chance to introduce ourselves and answer a few questions including favorite book (Pride and Prejudice) and favorite genre (fantasy). 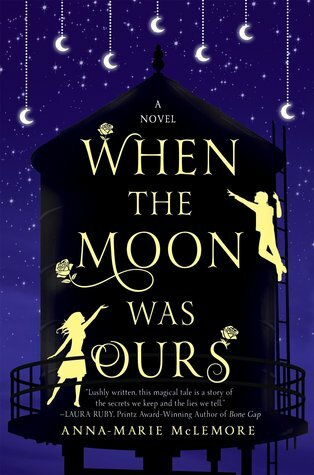 This was also a chance for bloggers to talk about diversity and what we’d like to see more of in the book world. You can read my thoughts here. On day two we discussed aesthetic concerns for both books and blogs. Reading through everyone’s posts, it seems most of us are not immune to beautiful covers. I am a sucker for a good cover. 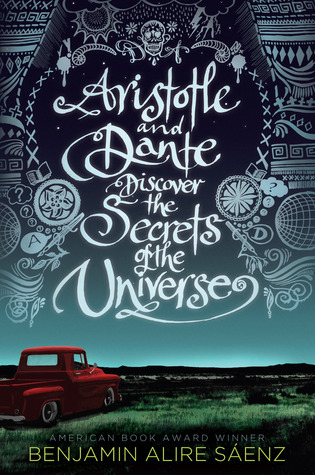 Even before you read a synopsis of a book, the cover is the first thing you see and so I think it’s important that a book’s cover be able to grab your attention. Read all my thoughts here. We seem to focus a lot on traditional forms of fiction and our blogs, but on day three we look beyond the books and blog. 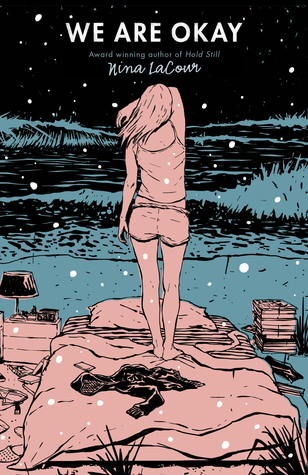 I talked about my desire to try new forms of fiction, including graphic novels. I’m still looking for suggestions, so share your recs in the comments. Read my full post here. Day four was probably my favorite day as we discussed what it would be like trying to survive the fictional worlds we read about. I had tons of fun putting this post together. I didn’t have a ton of time to visit other people’s posts for this day, so if you’d still like to leave a link, I’d love to read what you had to say. My post can be found here. Did you participate in Armchair BEA this year? Is it something you’d like to participate in again? Leave a link to your own wrap-up post and I’ll be sure to visit!